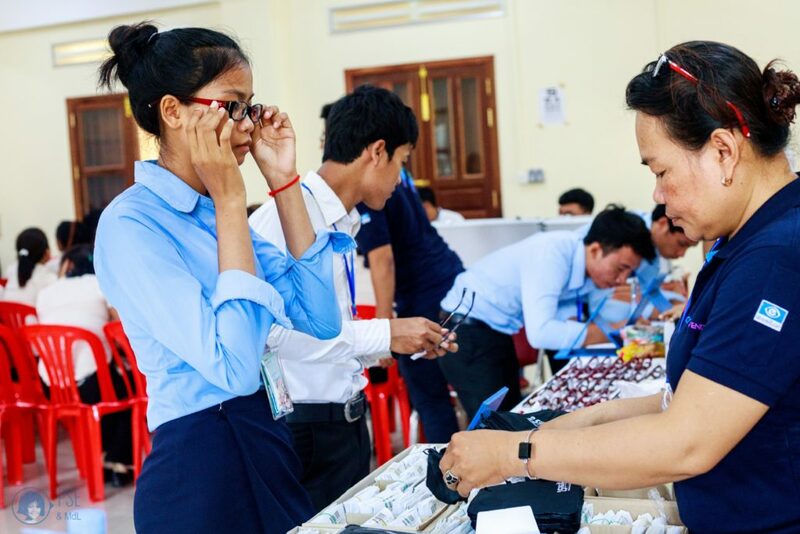 The Essilor Vision Foundation (EVF) and Essilor’s inclusive business arm 2.5 New Vision Generation (2.5 NVG) Cambodia, launched a partnership with the local foundation Pour un Sourire d’Enfant – For a Child’s Smile (PSE). The aim is to screen about 2000 children by the end of the year and to equip those in need with a free pair of spectacles. Good vision is key for children to reach their full potential at school. 80% of what they learn is perceived through their eyes. Not being able to see clearly can hinder them to reach their full academic potential. 240 children were screened at the first event on November 13th. 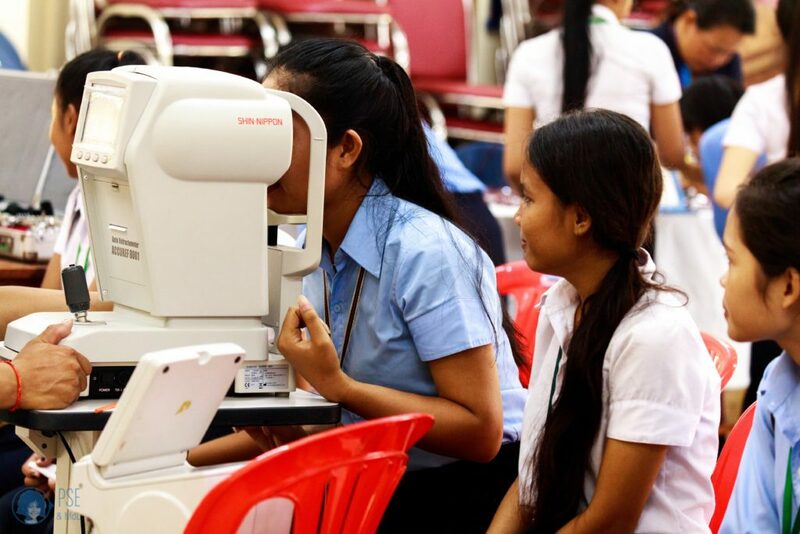 Nearly half of the children screened couldn’t see clearly and were living without glasses. 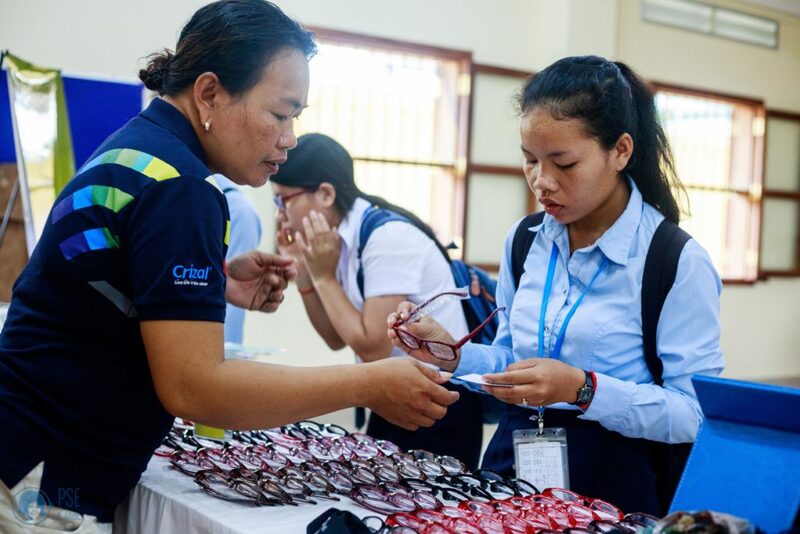 Some children can be equipped on the spot with a pair of Ready to Clip™ glasses; a range developed by Essilor’s inclusive business branch 2.5 New Vision Generation to equip people with the glasses they need within minutes of their eye exam. 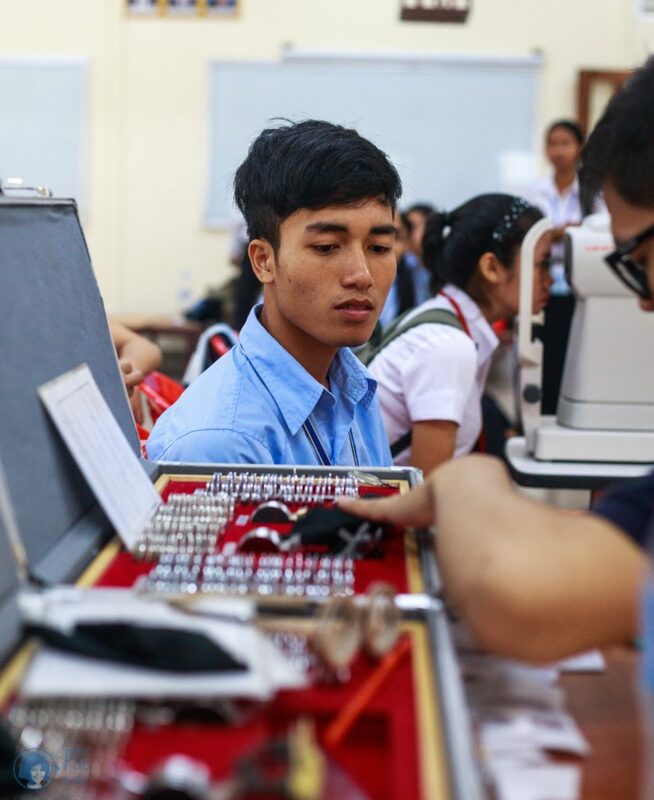 This is another step towards Essilor’s goal to reach 50 million children by 2020 together with our partners from Our Children’s Vision, a global campaign launched last year to bring good vision to boys and girls around the world. Pour un Sourire d’Enfant – For a Child’s Smile (PSE) is a non-profit organization, established at the end of 1995 in Cambodia, working to provide food, shelter, medical care, general education and vocational training to destitute, maltreated, abused and uneducated children in Phnom Penh, Sihanoukville and Siem Reap. Currently PSE is providing help to more than 6,000 children through training and educational programs.